Most people in our rather large, extended Tadpole family knows that there is a high percentage of descendants who are talented artists or craftsmen. My daughter is no exception. She hasn't been painting very long but I love her work. About a year ago, she painted a picture of our cousin, Jake Pumpkin. She was looking through some old family photos and said she wanted to paint him and asked me to tell her about him. 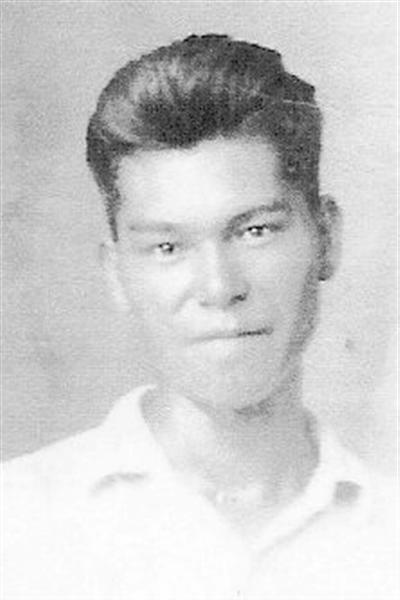 Jake, the son of Frank and Annie (Tadpole) Pumpkin, died in the 1940s, the victim of homicide. As my friend said, artists bring some of their feelings into their work and you can see a bit of sadness in the painting. Possibly, because my daughter knew Jake had been murdered, she carried a bit of sadness within her as she painted. I don't know really, but she was drawn to paint him and I think she did a wonderful job.